Insufficient customer complaint handling was, and still is, one of FDA’s top findings in warning letters published under the FDA’s freedom of information legislation. In addition, the FDA starts to review not only US-related customer complaints for products on the US market but since the New Quality System Approach has been used during inspections, complaints for non-US products may also be investigated to challenge the companies complaint system. This Standard Operating Procedure (SOP), including an investigation form attached, guides you step-by-step through the process of investigating, documenting, reporting and following up customer complaints. 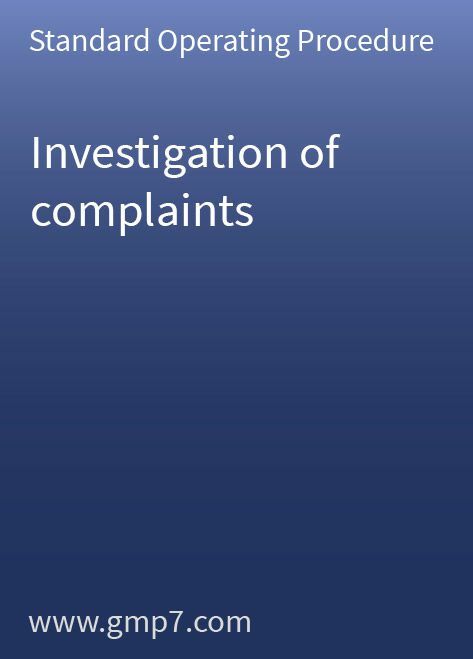 The responsibilities for the complaint investigations are also clearly defined in this SOP, which is a crucial prerequisite for any functional system. This Standard Operating Procedure (SOP) only needs a small amount of site-specific modification before it can be adopted for your operations.